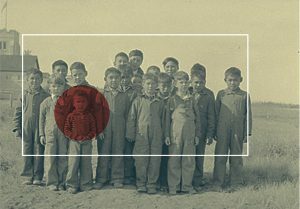 Nindibaajimomin is an inter-generational digital storytelling project on the legacy of residential schools in Canada. Taking place between 2010-2014 in Winnipeg it consisted of four digital storytelling projects with 32 residential school survivors and the children of residential school survivors. Organised by the Oral History Centre and the Department for Indigenous Studies at the University of Winnipeg, the project involved 4 rounds of 5 days of workshops in which participants were guided through ‘an intense and deeply emotional process of remembering family histories and experiences, storytelling, and the creation of a personal digital story, using digital media software’. A total of 24 digital stories were made available publically online and at event screenings. The project team also produced five guides which make up a digital storytelling toolkit for practitioners which is available online. 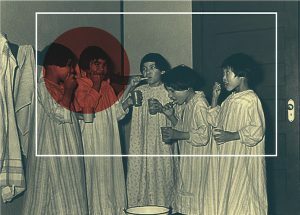 Nindibaajimomin was funded by The Aboriginal Healing Foundation, an Aboriginal-managed organisation that supported healing initiatives which address the legacy of physical and sexual abuse suffered in Canada’s Indian Residential School System. It was financed by the Canadian government as part of Canada’s Aboriginal Action Plan. Robinson, D., Martin, K., 2016. Arts of Engagement: Taking Action In and Beyond the Truth and Reconciliation Commission of Canada. Wilfrid Laurier University Press.